Meet the advisors behind the Legatum Prosperity Index. 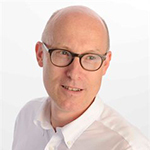 Timothy Besley is School Professor of Economics and Political Science and W. Arthur Lewis Professor of Development Economics at the London School of Economics and Political Science (LSE). From September 2006 to August 2009, he served as an external member of the Bank of England Monetary Policy Committee and from 2015 will serve as a Commissioner on the National Infrastructure Commission in the UK. 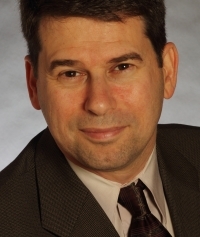 He is also the Gluskin-Granovsky Fellow in the Institutions, Organizations and Growth Program of the Canadian Institute for Advanced Research (CIFAR). Professor Besley is a Fellow of the Econometric Society, the British Academy, and the European Economic Association. He is also a foreign honorary member of the American Economic Association and of the American Academy of Arts and Sciences. In 2010 he served as the President of the European Economic Association, he is currently President of the International Economic Association and will serve as President of the Econometric Society in 2018. Professor Besley is a past co-editor of the American Economic Review, and a 2005 winner of the Yrjo Jahnsson Award of the European Economics Association which is granted every other year to an economist aged under 45 who has made a significant contribution to economics in Europe. His research, which mostly has a policy focus, is mainly in the areas of Development Economics, Public Economics and Political Economy. Ann Owen is the Henry Platt Bristol Professor of Economics at Hamilton College. She has published widely on long-run growth, income distribution, human capital accumulation, and sustainable consumption choices in journals such as American Economic Review, Economic Journal, Journal of Monetary Economics, Journal of Environmental Economics and Management,Journal of Economic Growth, and European Economic Review. The recipient of a College-wide teaching award, Owen also has an established expertise as an educator, having published several articles on pedagogy in the economics classroom, presented in many venues on economics education, and written textbook supplements that facilitate innovative teaching methods. She also has co-authored several refereed publications with Hamilton undergraduates. Owen teaches courses in monetary policy, economic growth, macroeconomic theory, and economic statistics. Prior to joining Hamilton College in 1997, Owen was an economist at the Federal Reserve Board in Washington, DC. She earned her PhD in Economics from Brown University in 1995, an MBA from Babson College in 1989, and a BA in Economics from Boston University in 1985. 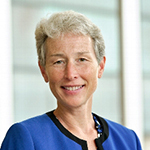 In addition to her work at the Federal Reserve, Owen's experience outside of academe includes product management at a regional Boston-based commercial bank. 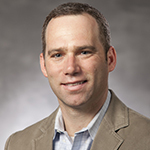 Edmund Malesky is an Associate Professor of Political Economy at Duke University, who specialises on the political economy of Vietnam. In 2012, Malesky received a state medal from the Government of Vietnam for his role in promoting economic development as the lead researcher for the US-AID's Vietnam Provincial Competitiveness Index. In 2013, he was appointed by President Obama to serve on the board of the Vietnam Education Foundation; a program dedicated identifying talented Vietnamese for doctoral training in the United States. He is a noted specialist in economic development, authoritarian institutions, and comparative political economy in Southeast Asia. He has published in leading political science and economic journals, including the American Political Science Review, Journal of Politics, Quarterly Journal of Political Science, British Journal of Politics, and Journal of Law, Economics, and Organization. Malesky has been awarded the Harvard Academy Fellowship, the Gabriel Almond Award for best dissertation, the David Lake International Political Economy Society Best Paper Award, and the Rockefeller Bellagio Residency Fellowship. Daniel W. Drezner is Professor of International Politics at the Fletcher School of Law and Diplomacy at Tufts University, a non-resident senior fellow at the Brookings Institution, and a contributor to the Washington Post. Prior to Fletcher, he taught at the University of Chicago and the University of Colorado at Boulder. He has previously held positions with Civic Education Project, the RAND Corporation and the US Department of the Treasury. Drezner has written five books, including All Politics is Global (Princeton, 2007) and Theories of International Politics and Zombies, and edited two others, including Avoiding Trivia (Brookings, 2009). He has published articles in numerous scholarly journals as well as in the New York Times, Wall Street Journal, and Foreign Affairs. Time magazine named his blog at Foreign Policy, one of the 25 best in 2012. His latest book, The System Worked: How the World Stopped Another Great Depression, was published by Oxford University Press in June 2014. 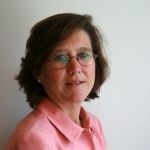 Carol Graham is the Leo Pasvolsky Senior Fellow at the Brookings Institution and College Park Professor at the University of Maryland. She has been a Vice President at Brookings and a Special Advisor to the Vice President of the Inter-American Development Bank. Graham is the author of numerous books - most recently The Pursuit of Happiness: An Economy of Well-Being (Brookings) and Happiness Around the World: The Paradox of Happy Peasants and Miserable Millionaires (Oxford) - and has published articles in a range of journals including the World Bank Research Observer, Health Affairs, the Journal of Economic Behavior and Organization, Health Economics, and the Journal of Socio-Economics. Her work has been reviewed in Science, The New Yorker, and the New York Times, among others, and she received the 2014 Distinguished Research Fellow award for substantial contribution from the International Society of Quality of Life Studies. She has a BA from Princeton, an MA from Johns Hopkins, and a PhD from Oxford University. Professor Deaton is a Senior Scholar and the Dwight D. Eisenhower Professor of Economics and International Affairs Emeritus at the Woodrow Wilson School of Public and International Affairs and the Economics Department at Princeton University. His current research areas focus on poverty, inequality, health, wellbeing, economic development, and randomised controlled trials. He has also taught at Cambridge University and the University of Bristol in the UK. Professor Deaton is also a corresponding Fellow of the British Academy, an Honorary Fellow of the Royal Society of Edinburgh, a Fellow of the Econometric Society and, in 1978, was the first recipient of the Society's Frisch Medal. In 2009 he served as the President of the American Economic Association, and in 2012, was awarded the BBVA Foundation Frontiers of Knowledge Award. In April 2014 Professor Deaton was elected a member of the American Philosophical Society, and in 2015, he became a member of the National Academy of Sciences. 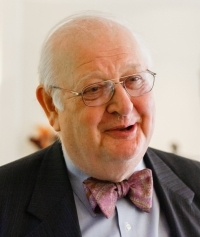 Professor Deaton was awarded the 2015 Sveriges Riksbank Prize in Economic Sciences (Nobel Prize in Economics). He was later made a Knight Bachelor for his services to economics and international affairs.